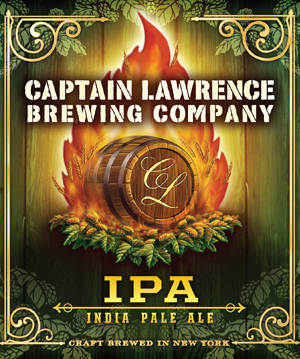 This IPA is brewed with Columbus, Centennial, Citra and Bravo hops and dry-hopped with Centennial, Citra and Bravo. The IPA arms race has produced many gimmicks. It’s nice to have an ale like this that relies on solid, familiar flavor. The pungent, dank grapefruit with resin background would make some believe this clear golden East Coast beauty came from the opposite coast. Heavy on the zesty lemon citrus as it warms and head laces the glass, it tingles the tongue and finishes dry. There is a caramel malt character, but the hop character dominates, and that’s just fine. It’s easy to get jaded about IPAs these days, but less so when they are as well balanced as is this one. Medium gold in color, there is ample evidence of U.S.-grown hops in its perfumey, orange-lemon aroma, but the bright, apricot-caramel maltiness at the front palate suggests that there is more to this ale than just hops. Confirmation arrives in the form of a simultaneously floral, nutty, citrusy and caramelly body, with a lime- and lemon-zest-driven dryness on the modestly bitter finish.